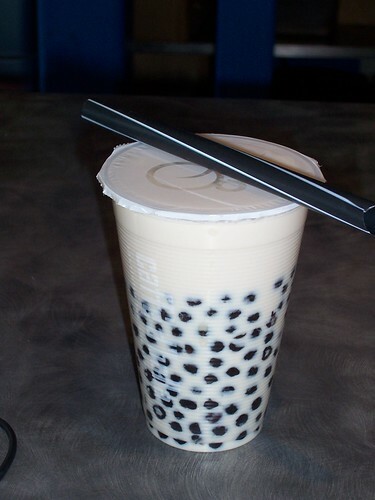 A nice guy from Ogden comes down to Salt Lake once in a while and stops by the caffe to get his bubble tea. He usually likes to add $1.50 worth of extra Chewy Pearls in his bubble tea. Today he did the same thing, in a 16oz. cup. It’s truly loaded.